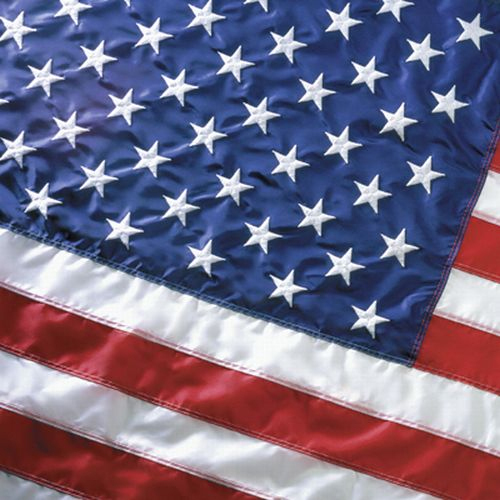 Flag is 100% Made in USA. Hardware is imported. Build your own Indoor American flag set with our quality flags, fringe, poles, stands, and tassel that will last! 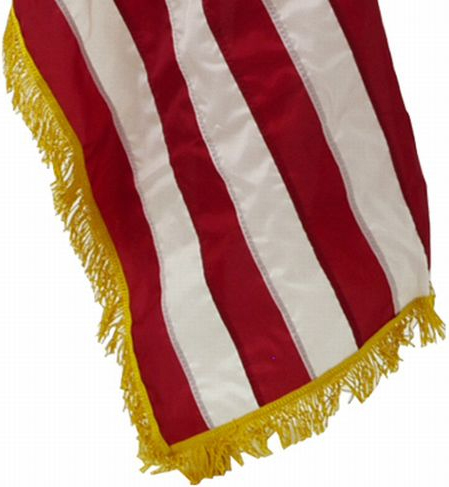 One 3' x 5' durable nylon American flag with a pole sleeve. Your choice of with or without fringe. 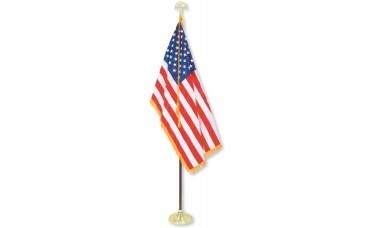 Your choice of one of our durable 7 ft. and 8 ft. flagpoles. Your choice of one of our sturdy indoor flag stands. Your choice of one of our beautiful gold ornaments for the top of your pole. Your choice of with or without a cord of tassel. Our flag spreader has an adjustable clamp that will allow you to open up your indoor flag to whatever width you desire. The flag spreader easily clamps to the indoor pole and spreads/drapes the flag for a proper beautiful display.